The Playing Cards fortune-telling method for Love will sketch a detailed picture of your partner and your current relationship direction. It will reveal all kinds of vital information - desires, fears, hopes, concerns - not only yours but your significant other's too. 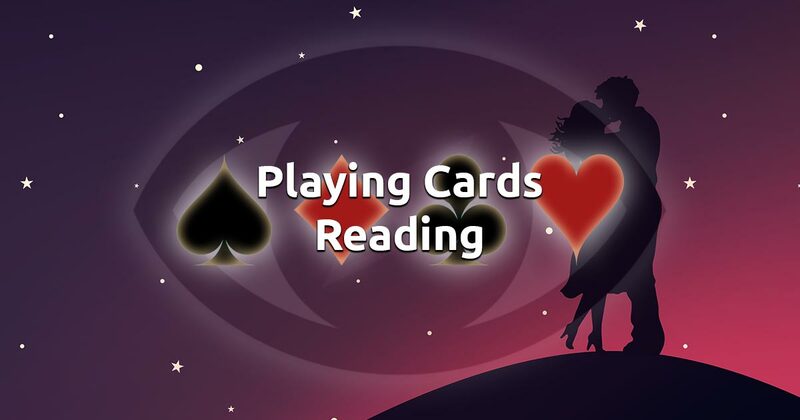 Our free card reading will suggest a course of action if you feel the need to change something, to make your relationship better and understand your partner more clearly. Focus your conscious mind on your closest person and concentrate on how you feel about him/her and your relationship. Remember to use your intuition when interpreting the meanings of the cards. When you're ready, select 4 cards to start your free love fortune-telling session with our playing cards.